- this will give you the .gdsl file - download this to the src folder of your project. 5. 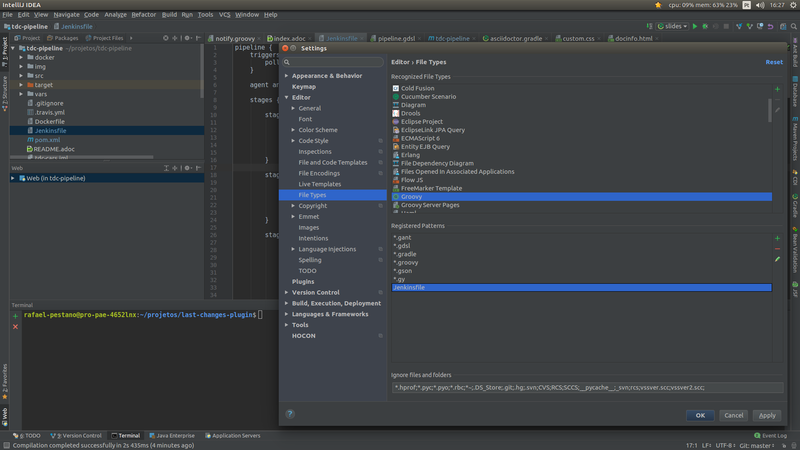 Now create a .groovy file and begin writing, the autocompletion will work. @arehmandev It is not working for declarative pipelines for me. The generated GDSL file does not contain methods like 'pipeline'. Am I missing anything? Same problem here, I've made auto completion work but declarative dsl is missing. Looking at this issue looks like Jenkins isn't generating a declarative pipeline GDSL yet.